4 payments of $651.71 to be paid over the next 4 months (1 payment due each month) to pay the remaining balance. Your new EDC has arrived! The 7" 300 BLK Honey Badger® is now available with Q's proprietary Pistol Stabilizing Brace®, made for Q® by our friends at SB Tactical™. 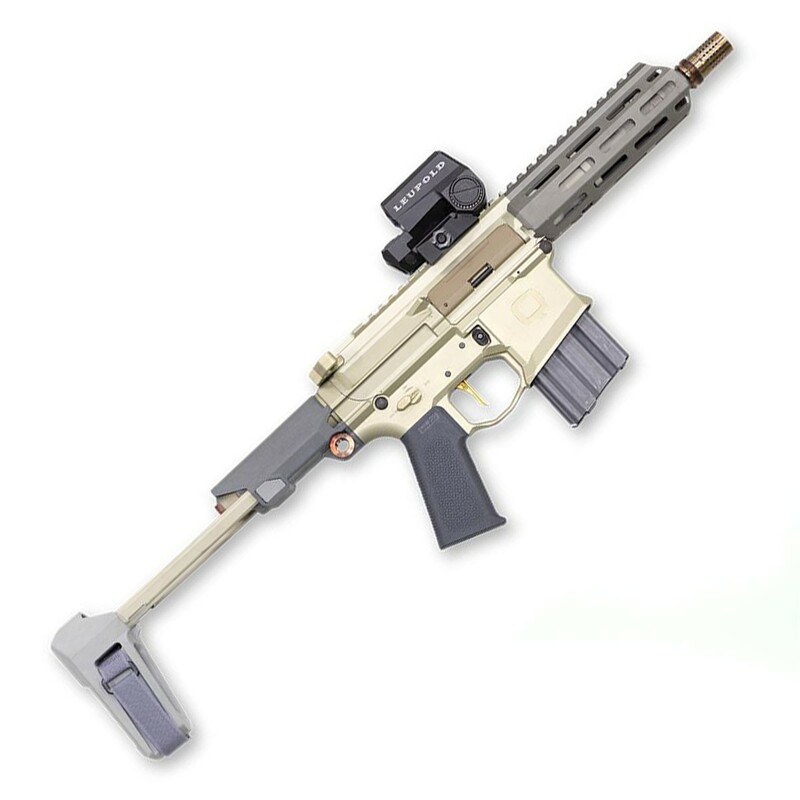 The original Honey Badger was developed at AAC by previous owner and Q CEO, Kevin Brittingham and his R&D team at the request of an elite US special operations group looking to replace their MP5-SD’s with an upgraded platform. Requirements included the ability to shoot a rifle caliber round while maintaining low visibility and excellent signature suppression. 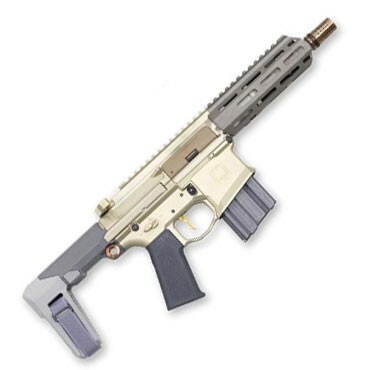 Developed in conjunction with 300 AAC Blackout, the Honey Badger was born, exceeded expectations, but never made it to the commercial market. Enter the Honey Badger by Q. At first glance, this Honey Badger appears to be the same as the original. Q focused on taking the iconic ‘Badger to the next level and improved upon every technical aspect of the first-generation design. 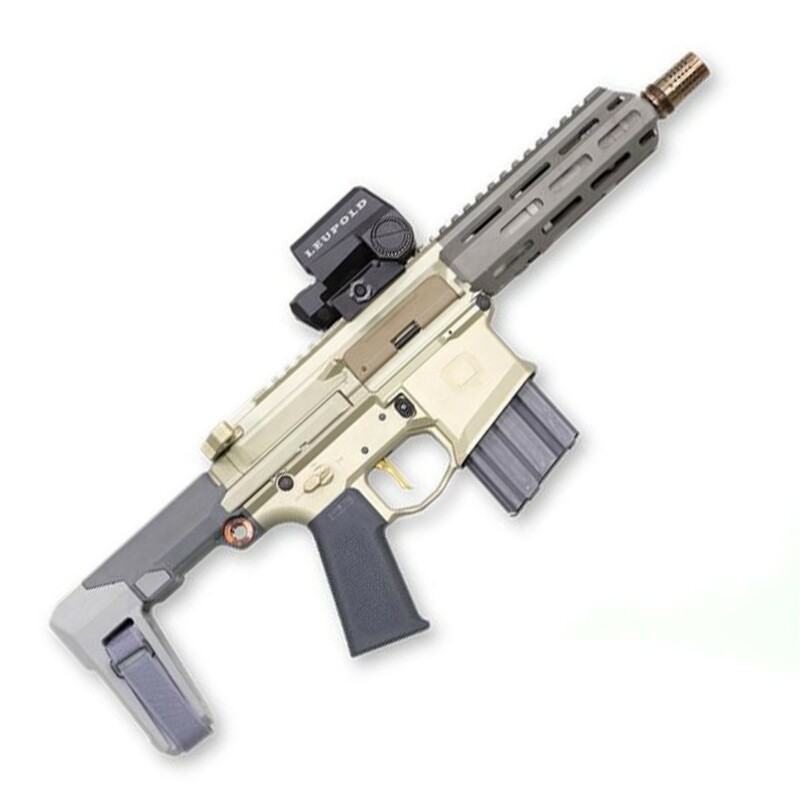 From the gas system to the trigger, and telescoping pistol brace – HB 2.0 does not disappoint.